The Cider, Wine & Dine Weekend features Henderson County wineries and cideries partnering together to create a signature weekend filled with all things cider, wine and food-related! Activities for the weekend include, of course, enjoying local artisan hard cider, wines and mead, plus lots of food, fire pits, movies, live music, production facility tours, and much more. Download the Cider, Wine & Dine Weekend calendar of event brochure. Click for a map to the participating venues. North Carolina is the 7th largest apple-producing state in the nation, and Henderson County is the largest apple-producing county in North Carolina, producing 85 percent of all the apples grown in the state, including more than 40 varieties of apples. The Cider, Wine & Dine weekend conveniently coincides with when the apple trees are in bloom. Apple trees produce gorgeous, delicate, pink and white spring blossoms, just waiting on the bees to start pollinating them. This is a great time of year to enjoy the Apple Country Trail, a self-guided scenic driving tour in and around Henderson County’s apple country, to enjoy the sight of the trees in bloom and to find local apple products to purchase. Click to download the self-guided Apple County Trail tour. Click here for lodging or area information, or call the Henderson County Tourism Development Authority at (828) 693-9708 / 800-828-4244. SOLD OUT! 2019 Cider, Wine & Dine Opening Gala at The Horse Shoe Farm: 6:30pm-8:30pm, Admission $20 in advance (available online here), Dance, drink, and dine during this delicious preview of each location participating in Cider, Wine & Dine Weekend 2019! Enjoy various small plates expertly paired with a cider, wine or mead, and have the opportunity to purchase tickets to events happening all weekend! Take your time and drink in the views at the gorgeous Horse Shoe Farm. Be sure to visit each stop and be entered to win a weekend getaway! A Taste of the Vineyard at Saint Paul Mountain Vineyards: 11am – 7pm, Admission $10, Enjoy a guided tasting of all of our award-winning French Vinifera wines and take your glass home as a souvenir! No reservation required. Indoor or outdoor tastings on our patio overlooking the vineyard. Vintner’s Table Food Truck at Burntshirt Vineyards Hendersonville: 12 – 5pm, Check out our very own food truck, filled with cheese boards, salads, sandwiches and a special cider in honor of the weekend festivities. Cider, Spirits & Beer Tastings at Appalachian Ridge Artisan Cidery: 12 – 7pm, $10 tastings, Join us all day for tastings of our six different Normandy-style ciders, spirits from our distillery and guest tap beer, all for $10. Price includes your Appalachian Ridge tasting glass. Enjoy the only cider you can sip while enjoying the view of the orchard the apples are grown in. Our special cider mimosa of the day will be available. Specials on Wine & Food, Plus Live Music at Saint Paul Mountain Vineyards Flat Rock: 12 – 7pm, Enjoy various specials and live music every day for this fun filled weekend! Highlands Festival at Point Lookout Vineyards & World’s Edge Meadery: 12 – 9pm, Free, A celebration of the Scotch-Irish heritage of WNC and the release of our newest meads. Enjoy live Celtic folk music and Highland dancers. Hear the serenade of bagpipes. Wear your kilt and enter our “Bonnie Knees” contest. Check out Point Lookout’s facebook page for details. Fire Pit Grill at Point Lookout Vineyards & World’s Edge Meadery: 3 – 8pm, Menu Prices, Cook your own dinner over the fire pit while enjoying the Highlands Festival. Grill some Irish bangers and potatoes, a hamburger for the kids and finish with s’mores. A time of community around the fire pit, a time for family and friends. Our food truck, Olive, will be serving full meals and compliments to your fire pit cooking. Cider and Wine Tastings at Wine Sage & Gourmet: 1 – 5pm, Free, Enjoy your “Cider, Wine and Dine Weekend” with a tasting of various local wines and ciders. Tour of the Winery at Burntshirt Vineyards Hendersonville: 2pm, Free, Tour the winery and barrel room to see our estate-grown wine go from vineyard to bottle. Meet the wine maker and get your bottle signed. Live Music with Ben Phan at Burntshirt Vineyards Hendersonville: 2 – 5pm, Free, Drink wine by the glass or bottle and listen to live music with Ben Phan. Blind Tasting at Saint Paul Mountain Vineyards Flat Rock: 5 – 6pm OR 6 – 7pm, $10 per person, Come to a blind tasting and experience the delicious variety of our wines. 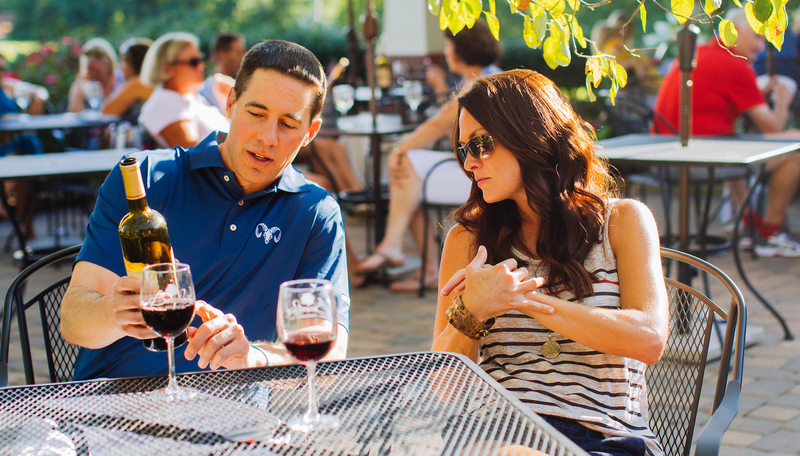 Watch the Sunset with Sunset Sippin’ at Burntshirt Vineyards Hendersonville: 6 – 8pm, Free, Enjoy the sunset with a $5 glass of our Sunset Sippin’ wine. Live Music at Bold Rock Hard Cider: 6 – 9pm, Free, Enjoy live music from the cider garden. Food specials will be served from our food truck, Bold Bites. Music Under Chimney Rock at Burntshirt Vineyards Chimney Rock: 6 – 9pm, Free, Live music with a view of Chimney Rock. Twist & Shout Dance Party with Cider, Wine & Wings! at Saint Paul Mountain Vineyards: 6 – 9:30pm, Free music/menu prices, Dance the night away with music by “Sound Investment,” playing the best of the 60’s, 70’s, and 80’s. Enjoy your favorite Saint Paul Wine or try some of our fresh fruit sangria. Wild Wings will be serving your favorite wing plate. Roast marshmallows and over the fire and make your own s’mores for dessert! Movie Night at the Winery at Burntshirt Vineyards Hendersonville: 8 – 10:30pm, Free, Purchase wine, beer and concessions while you enjoy a free movie under the pavilion. Fresh Orchard Breakfast & Guided Farm Experience at Appalachian Ridge Artisan Cidery: Breakfast at 9:30am, Tour at 10:30am, $5 for breakfast, tour free, Enjoy a hot cup of locally-owned ShareWell Coffee Co. coffee or craft espresso, roasted on-site, with a fresh croissant breakfast paired with local jams, jellies, and goat cheese. After breakfast, experience the farm with an intimate guided tour of the orchard and vineyards. Cellar Brunch at Point Lookout Vineyards & World’s Edge Meadery: 10am – 2pm, Menu prices, Start your day with brunch by Olive Catering. Enjoy our coffee and espresso drinks, and fresh baked pastries. Tour our wine and mead cellar. A Taste of the Vineyard at Saint Paul Mountain Vineyards: 11am – 7pm, Admission $10, Enjoy a guided tasting of all of our award winning French Vinifera wines and take your glass home as a souvenir! No reservation required. Indoor or outdoor tastings on our patio overlooking the vineyard. Vintner’s Table Food Truck at Burntshirt Vineyards Hendersonville: 12 – 5pm, Menu prices, Check out our very own food truck, filled with cheese boards, salads, sandwiches and a special cider in honor of the weekend festivities. 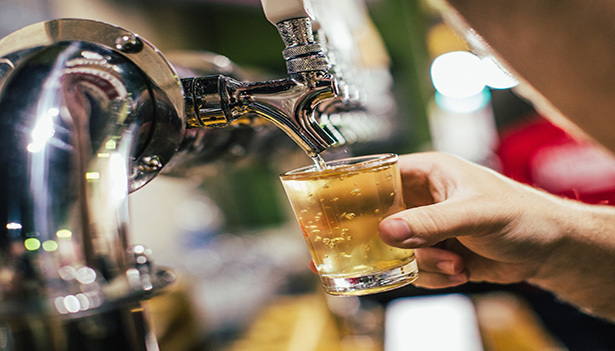 Cider, Spirits & Beer Tastings at Appalachian Ridge Artisan Cidery: 12 – 7pm, $10 tastings/menu prices, Join us all day for tastings of our six different Normandy-style ciders, spirits from our distillery and guest tap beer, all for $10. Price includes your Appalachian Ridge tasting glass. Enjoy the only cider you can sip while enjoying the view of the orchard the apples are grown in. Our special cider mimosa of the day will be available, and a food truck will be on-site. Be Bold Food Truck Festival at Bold Rock Hard Cider: 12 – 9pm, Free admission, An all-day food extravaganza! Enjoy local food from local food trucks, including inventive specials from our own Bold Bites food truck. Live music will be performed throughout the day at this family-friendly event. Knight’s Table Mead Release at Point Lookout Vineyards & World’s Edge Meadery: 12 – 9pm, Menu prices, World’s Edge Meadery will release a new mead for tasting in the cellar. Sit at the Knight’s Table in the wine/mead cellar, experience our full selection of meads, and learn about mead and its history. Patio Grill & Wine Pairing at Point Lookout Vineyards & World’s Edge Meadery: 12 – 9pm, Menu prices, Enjoy items hot off our Cellar Grill or from the Olive food truck paired with one of Point Lookout Vineyards’ estate wines. Tour of the Winery at Burntshirt Vineyards Hendersonville: 2pm & 4pm, Free, Tour the winery and barrel room to see our estate-grown wine go from vineyard to bottle. Meet the wine maker and get your bottle signed. Frank Sinatra Saturday at Burntshirt Vineyards Hendersonville: 2 – 4pm, Free, Enjoy all things Sinatra with Paul Schiro as he entertains us with music dedicated to the Legend Frank Sinatra! Barrels & BBQ/Music Under Chimney Rock at Burntshirt Vineyards Chimney Rock: 2 – 7pm, Free, A special BBQ menu will be paired with our award-winning wines. Enjoy live music from 2 – 5pm. Afternoon with Shades at the Vineyard at Saint Paul Mountain Vineyards: 2:30 – 6pm, Free admission/menu prices, “Three Shades of Gray” will be playing 70’s and beyond music while you enjoy your favorite Saint Paul wine by the glass or bottle. Try a glass of our house made sangria or one of our wine floats, made from our award-winning blackberry wine and local ice cream! Local food truck, Great Food for Any Mood, will be on site for your dining pleasure. Giant Apple Sling & Music with “Pistol Hill” at Appalachian Ridge Artisan Cidery: 2:30 – 6pm, Free admission, Listen to the country sound of “Pistol Hill,” while enjoying a cold glass of our Normandy-style hard cider or Sanctuary beer on the patio of the only cidery that overlooks the orchard where the apples are grown! Try your luck at our giant apple slingshot, prizes will be given for accuracy! A special cider mimosa of the day will be available, and a food truck will be on-site. Cooking with Wine at Saint Paul Mountain Vineyards Flat Rock: 6 – 8:30pm, $25 per person, Our chef leads participants to cook their own dinner using Saint Paul wine at this interactive, education and fun event! Paella & Blues at Sunset at Appalachian Ridge Artisan Cidery: 6 – 9:30pm, $10 tastings/menu prices, Enjoy the sunset and orchard views while listening to the Lee Griffin Trio play blues music and more! Watch Jeff “Rhino” Bannister, our chef, who was recently featured on Food Network, prepare a giant paella for all to enjoy, with your choice of chicken or seafood. Finish on a sweet note with a fresh apple dessert. Fresh Orchard Breakfast & Guided Farm Experience at Appalachian Ridge Artisan Cidery: Breakfast at 9:30am, Tour at 10:30am, $5 for breakfast, tour free, Enjoy a hot cup of locally-owned ShareWell Coffee Co. coffee or craft espresso, roasted on-site, with a country biscuit breakfast paired with local jams, jellies, and fresh sausage gravy. After breakfast, experience the farm with an intimate guided tour of the orchard and vineyards. Cider Mimosas & Brunch at Saint Paul Mountain Vineyards Flat Rock: 10am – 2pm, Menu prices, Mimosas are the perfect excuse to enjoy a special brunch with an historic view! Mountain Top Brunch at Point Lookout Vineyards & World’s Edge Meadery: 10am – 2pm, Menu prices, Start your day with a mountain-top brunch by Olive Catering. Enjoy our coffee and espresso drinks, and fresh-baked pastries. A Taste of the Vineyard at Saint Paul Mountain Vineyards: 11am – 7pm, Admission $10, Enjoy a guided tasting of all of our award-winning French Vinifera wines and take your glass home as a souvenir. No reservation required. Indoor or outdoor tastings on our patio overlooking the vineyard. Vintner’s Table Food Truck at Burntshirt Vineyards Hendersonville: 12 – 5pm, Check out our very own food truck filled with cheese boards, salads, sandwiches and a special cider in honor of the weekend festivities. Sunday Fun-day Low Country Boil at Bold Rock Hard Cider: 12 – 5pm, $20 per person, Come to an all-you-can-eat Low Country Boil on the porch. Listen to live music and enjoy ice-cold Bold Rock hard cider. Sunday Brunch/Music Under Chimney Rock at Burntshirt Vineyards Chimney Rock: 12 – 5pm, Menu prices, Special brunch menu that is paired with our award-winning wines, as well as brunch signature drinks 12 – 3pm. Live music from 2 – 5pm. 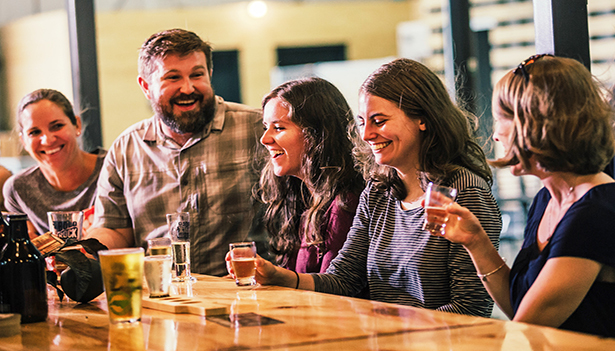 Cider, Spirits & Beer Tastings at Appalachian Ridge Artisan Cidery: 12 – 6pm, $10 tastings/menu prices, Join us all day for tastings of our six different Normandy-style ciders, spirits from our distillery and guest tap beer, all for $10. Price includes your Appalachian Ridge tasting glass. Enjoy the only cider you can sip while enjoying the view of the orchard the apples are grown in. Our special cider mimosa of the day will be available, and a food truck will be on-site. Bluegrass and Gospel on the Lawn at Point Lookout Vineyards & World’s Edge Meadery: 1 – 6pm, Free, Various bluegrass groups will perform on the lawn. Take in the panoramic views, enjoy a glass of wine or mead, grab a bite from the Olive food truck, and enjoy the authentic music of Western North Carolina. Live Music with the Caribbean Cowboys at Burntshirt Vineyards Hendersonville: 2 – 5pm, Free, Enjoy a glass or bottle of wine while jamming out to the Caribbean Cowboys. Giant Apple Sling & Music with Hunnilicious at Appalachian Ridge Artisan Cidery: 2:30 – 6pm, Listen to the sounds of mother-daughter duo, Hunnilicous, while enjoying a cold glass of our Normandy-style hard cider or Sanctuary beer on the patio of the only cidery that overlooks the orchard where the apples are grown! Try your luck at our giant apple slingshot, prizes will be given for accuracy! A special cider mimosa of the day will be available, and a food truck will be on-site. Sunday, Fun Day at the Vineyard at Saint Paul Mountain Vineyards: 2:30 – 6pm, Lee Griffin Trio will be playing all of your favorite tunes while you enjoy Saint Paul wine by the glass or bottle! Local food truck, Great Food for Any Mood, will be serving a delicious lunch. Specials include fresh sangria, wine floats made from our award-winning blackberry wine and local ice cream!